Chippens publishes poetry chapbooks (10-20 pgs.) in pdf format. We publish individual poems in The Chippens Weekly. Introducing a new chapbook, Belief in Bodily Echoes, by Felino Soriano. Felino Soriano is a case manager working with developmentally and physically disabled adults in California. He is the editor of the online journal Counterexample Poetics, which focuses on International interpretations of experimental poetry, art, and photography. Introducing a new chapbook, Cartography of Family, by Teresa Chuc Dowell. Teresa Chuc Dowell immigrated to the U.S. under political asylum with her mother and brother shortly after the Vietnam War. She teaches English literature and writing at a public high school in Los Angeles. Her poetry appear in journals such as the National Poetry Review, Verse Daily, and miller’s pond (online), and her creative nonfiction appear in journals such as Memoir Journal, Sugar Mule, and Mosaic. 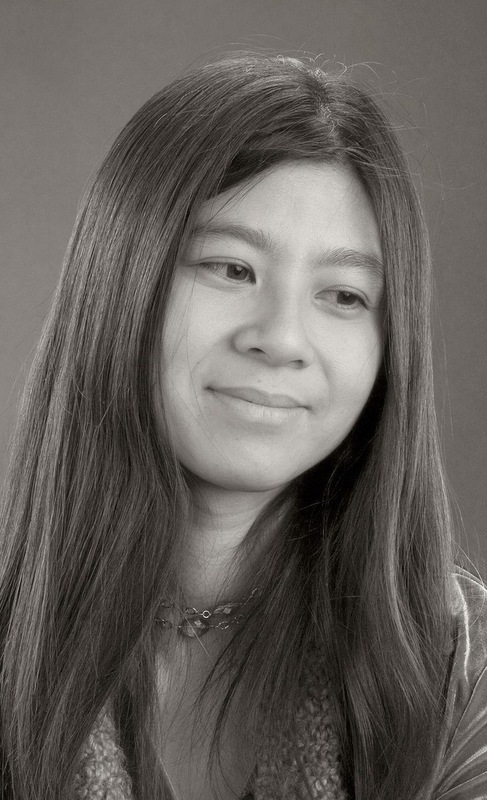 Teresa earned a bachelor’s degree in philosophy and is currently a candidate for an MFA in Creative Writing (poetry) at Goddard College in Vermont. Introducing a new chapbook, Lurking Exposure, by Sarah Ahmad. Sarah Ahmad, 22, was born in India and now lives in Pakistan. She considers herself a struggling poet and artist as in her world where life is so fragile, not knowing if you will return alive every time you step out of the house, getting someone to acknowledge your art is a real struggle. Her work has appeared in various e-zines and magazines and that gives her a warm, fuzzy feeling inside. Her chapbooks are Unfulfilled Doubts (2010) from Artistically Declined Press and Chaotic Disillusion (2010) from Calliope Nerve Media. Introducing a new chapbook, Eulalie & Squid, by Charles Freeland. Charl es Freeland lives in Dayton, Ohio. His books, e-books and chapbooks include Through the Funeral Mountains on a Burro (forthcoming from Otoliths), Grubb (BlazeVOX books), Furiant, Not Polka (Moria), and The Case of the Danish King Halfdene (Mudlark). His website is The Fossil Record and his blog is Spring Cleaning in the Labyrinth of the Continuum. Introducing a new chapbook, Zigeunertänze, by Adam Henry Carrière. Adam Henry Carrière is a poet, teacher, and broadcaster who has crashed five states, committed radio in three, frolicked in some fifteen countries, and even played on three Navy ships before Rummy got wise. Recent publications include The Bicycle Review #1, The Smoking Book, The Mayo Review, Counterexample Poetics, Tonopah Review, Juked (2008 Poetry Prize Finalist), and Tattoo Highway. 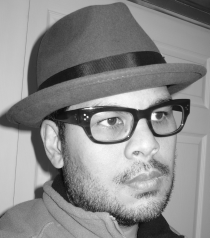 Born on the South Side of Chicago, Adam now resides in Las Vegas, Nevada, where he has personally bankrolled the renovation and/or expansion of at least four neighborhood casinos, won the Nevada Arts Council Fellowship in Poetry, and publishes Danse Macabre, Nevada’s first online literary magazine. He’s also presented a wide range of papers at the Far West Popular Culture Association / American Culture Association’s annual Conference, and serves on the Editorial Board of Popular Culture Review. Working on a doctorate (or, working on not being further impoverished and/or disassociated by said pursuit) has not dislodged from him the guilty pleasures of Ian Fleming, bella musica Wien, and Britain’s Hammer Films. His favorite poets are Hughes, Szymborska, and Mozart. Particularly, he aspires to follow on the imaginative trail blazed by the feuilleton of Joseph Roth. Introducing a new chapbook, Calling Toward Clarity, by Felino Soriano. Introducing a new chapbook, The Failures, by Francis Raven. Fra ncis Raven is a graduate student in philosophy at Temple University. His books include 5-Haifun: Of Being Divisible (Blue Lion Books, 2008), Shifting the Question More Complicated (Otoliths, 2007), Taste: Gastronomic Poems (Blazevox 2005) and the novel, Inverted Curvatures (Spuyten Duyvil, 2005). Francis lives in Washington, DC; you can check out more of his work at his Web site, Raven's Aesthetica. Introducing a new chapbook, Elis Dances, by Hans Raimund. A major A ustrian writer, Hans Raimund is considered one of the most important voices of his generation in all of German-language poetry today. Born in 1945 in Lower Austria, Raimund and his wife live in a country house — the stimulus of much of his poetry — in the Austrian province of Burgenland. A gifted translator as well as a writer, Raimund received the Austrian W.H. Auden Translation Prize for his translations of Italian, French, and English authors. In addition to the wide publications of his essays in literary publications and newspapers, Raimund is the author of eight books of poetry and four prose collections. In recognition of his oeuvre, Raimund was awarded Austria's prestigious Georg Trakl Prize in 1994 and the Anton Wildgans Prize in 2004, and he has also received literary prizes in Italy . His books are translated into Slovenian, Bulgarian, Albanian, Italian, and English, including: Hardly the blink of an eye, Words and Spaces, Phoenix, Arizona, 1993; Verses of a marriage, Event Horizon Press, Desert Hot Springs, California, 1996; and Viennese Ventriloquies, Event Horizon Press, Desert Hot Springs, California, 1998. His poetry has been described as "outstanding in its musical quality and its extremely successful blending of classical forms with modern elements." Introducing a new chapbook, The Dreaming House, by David Chorlton. David C horlton was born in Austria and grew up in Manchester, England, home of rain and industry. He moved to Austria in 1971 to live in Vienna, where he developed his work as an artist and began to write poetry. He used to travel often by train around Europe to explore and to paint. Seven years later, he moved to Phoenix (his wife’s home city). Within a few years, he was publishing poems in small press magazines around the country and individual collections followed, including chapbooks: Assimilation (winner of the Main Street Rag contest), Common Sightings (Winner of the Palanquin Press contest), and Greatest Hits (Pudding House Publications), and books A Normal Day Amazes Us (Kings Estate Press) and Return to Waking Life (Main Street Rag Publishing Company). He has shown his art work in several galleries and art centers, and he has given many readings of his poetry as well as occasional dramatic readings outside that genre. Sweetly and sadly beautiful like the mockingbird or the duck lady, so many of these poems are stunning in their simultaneous simplicity and complexity. Kudos David.